There has been much talk recently about the MGM group’s supposed adoption of key online gaming platforms in the past months. This has been seen by many as a way that the company can shore up profits and open additional revenue generation capacity, while enticing both returning and new clientele to the brand. Existing relationships between MGM and online providers have existed in various different forms over the years, so this announcement is by no means a new one. In fact, the named partner in this online venture already has a history with MGM, and they are non-other than the gaming company GVC Holdings. The two companies have worked previously together for a good few years already, and the popular Borgata brand was the by-product of this coalition, of which MGM owned a 50% stake. This venture is of course somewhat different as MGM has never before offered a real money casino or poker platform, but rather used a points and rewards system. Nevertheless, the online appetite for this kind of entertainment is still enormous, and this is in line with global trends at present, that have seen an explosion in online gaming and gambling markets in the last 20 years. This has been seen by many as a result of increased connectivity between users and the internet, which has further fueled demand for online portals such as the offering from MGM and GVC Holdings. It is expected that much of the future revenues from hotel and casino combination brands such as MGM will be largely supported by these types of ancillary services, providing much needed liquidity for the physical element of such companies. 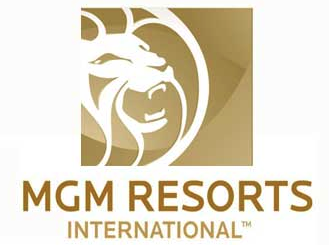 While the details are not quite yet threshed out in their entirety, MGM is said to be working on their online platform that will feature over 300 casino games such as slots and table games, as well as different variations of poker, such as tournament and cash poker game types. But as with most modern offerings, the allure of cash is not the only incentive for would be online gamblers. The system is also said to have the capability of linking itself to MGM’s rewards program, M life. The only real hurdle that presently exists in the online gaming market currently is the need for across the board regulation and standardization. This needs to happen so that the natural and organic growth of online casinos can continue to grow within a clear framework, allowing for a non-ambiguous and transparent online gambling market can flourish across many regions without customers having to resort to illegal practices such as VPN tunnelling and geo-spoofing technologies. We have seen the effects of an unregulated online casino market, such as the effects that have been felt in Australia earlier this year, when parliament cracked down on non-compliant regulators for and pulling the plug on advertising methods and promotions. This disruption has had the intended effects of disrupting large cash-flows from leaving the country, but has also had the knock on effect of dismantling legitimate businesses that were propped up around the support of these companies. To avoid similar interruption, companies such as MGM need to work hand in hand with policy makers to ensure that they can participate online without creating the potential for their established market to be interfered with later down the road. If MGM continue to play their cards right with their online aspirations, they could be in for massive growth overall, as the online gaming and gambling sectors are some of the fastest entertainment markets on the planet at present, attracting millions of users.